By promoting code literacy, schools could improve education equity, offer inclusion for students with ASD, improve STEM proficiency, and build neuroplasticity associated with multilingual education. One need not look to superstars such as Mark Zuckerberg or Bill Gates to justify reasons for using code and programming logic in the classroom. There's plenty of literature that illustrates its positive learning outcomes. Coding in the classroom is linked to improved problem solving and analytical reasoning, and students who develop a mastery of coding have a "natural ability and drive to construct, hypothesize, explore, experiment, evaluate, and draw conclusions." But there are other compelling reasons for integrating code in the classroom. 1. Coding is a new type of literacy. Wired Magazine reported that reading and writing code is the new literacy. Those students who master it are better prepared for a technical revolution that spans cultures and language boundaries. That's because coding isn't just a language. It's a way of thinking about problem solving. 2. Coding is a tool to improve educational equity. Coding in the classroom is a means of bridging the digital divide. That means more than granting technological access -- it's a way for all students to use technology for creative engagement. Without coding in the classroom, many students in lower socioeconomic communities will miss the opportunities it affords. In fact, Holfeld et al (2008) found that schools in poorer neighborhoods restricted computer use to rote learning rather than using technology for creative engagement. Discouraging a more creative use of technology in the schools creates a butterfly effect. In Washington State, where 93 percent of high schools don't offer AP computer science, a 2012 study found that out of 1,200 AP computer science students, just 48 were black or Hispanic. 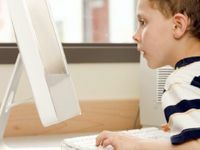 By making computer science a required course for high school, especially in lower socioeconomic schools, educational equity and opportunities improve. Temple Grandin, author and professor at Colorado State University and an autistic adult, said, "Without the gifts of autism, there would probably be no NASA or IT industry." Non-profits such as nonPareil are acting on those talents. Created by two parents of children with Autism Spectrum Disorder, the organization actively recruits high school students with ASD, trains them in software development, and then places them in IT jobs. The environment, a cross between a school and a company, is a natural segue between high school and the adult workplace. Knowing there are programs for kids with ASD is good news for parents who shoulder the responsibility. Of those children with ASD who do enter the workforce, nearly 80 percent will be unemployed or underemployed. By teaching coding to students with developmental disabilities, teachers aren't merely harnessing and developing innate talents. They're better preparing these kids, making them more marketable and employable in a high-tech economy. 4. Coding can improve neuroplasticity. Neuroplasticity, a term that essentially means the brain can change, has assumed a pop-culture status, and any activity linked to it takes on a magical, brain-promoting aspect. While not all activities genuinely classify, in the case of foreign language acquisition, there is evidence. Researchers in Sweden observed visible brain changes in those children and teens who learned a foreign language. Over a three-month period, the brain structure in those who acquired a second language grew, specifically in the hippocampal area (which is involved in learning new material and spatial navigation), and in three areas in the cerebral cortex. Students who "had better language skills than other students, who put in more effort in learning, experienced greater growth." In another study, Mechelli found that children who acquired a second or third language, even a computer language, showed functional changes in the inferior parietal cortex. 5. Coding improves STEM proficiencies. Analysts suggest that by 2020, there are expected to be one million more computing jobs than students in the U.S., which could leave an untapped market of $500 billion. Currently, the U.S. is ill prepared to fill these jobs. In one international study across 65 countries, the U.S. ranked 23rd or 24th in most subjects and 27th in math and science. Girls were particularly at a deficit. Forbes Magazine reported, "Women hold nearly half of all jobs in the U.S., but less than 25 percent of all STEM jobs." By making coding a classroom requirement, educators are better equipping students for this market. Despite the documented benefits, coding in the classroom is offered in only a smattering of U.S. schools. Less than ten percent offer AP computer science, and students who have access aren't necessarily being encouraged to pursue programming. Why the Lack of Emphasis? Get computer science education to the students. Educate teachers in code literacy to make them technically proficient to teach coding. A report by the National Bureau of Economic Research shows a bias in how teachers perceive abilities of male and female students when it comes to STEM subjects. Researchers found that "when teachers knew the children's names and identities, they graded the girls lower in math than the outside grader, while scoring the boys higher." The trend had long-term ramifications. Those girls tracked in the study were less likely to sign up for advanced math, science, and technology courses in high school. If computer science isn't a requirement, why bother changing policies? Currently, 15 states allow computer science courses to count toward high school graduation. Private schools have an easier time implementing curricular changes. The problem is in federally funded schools. With tight budgets, public schools are mired in layers of decision making that makes it hard to change curriculum. The key, with the help of corporate sponsors, is to help policy makers see that computer science merits the same weight as math and science prerequisites. Educators and parents who agree should write to their state's department of education, and get involved with non-profit organizations such as Code.org and companies such as Microsoft who are working to improve digital literacy in the schools. For digital initiatives with the developmentally disabled, nonPareil can partner with schools, and organizations such as TEALS can expose students and teachers to the opportunities that coding in the classroom provides. Is coding part of your school's curriculum? Please tell us about it in the comments below.